An excellent way to stay on top of health concerns is to have an annual wellness physical exam and preventive vaccinations. 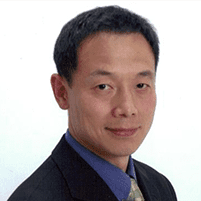 Hao Zhang, MD, Ph.D., of Edison Wellness Medical Group in Edison, New Jersey, is a physician specializing in internal medicine. Dr. Zhang provides wellness physicals and vaccinations to patients of every age in the area who want to stay as healthy as they can be. Call the office or schedule an appointment for a wellness exam using our online booking tool. What is a wellness physical exam? If you're fortunate enough to possess good health, you want to keep it that way, and wellness physicals can help you do just that. A wellness physical is a form of preventive health care in which Dr. Zhang gets to know you and is there to discuss any concerns you have and to monitor any changes in your overall health and well-being. Regularly scheduled checkups help keep you healthy and provide any necessary vaccinations to keep you and your family up-to-date. School or college physicals and workplace medical exams fall into the category of a wellness exam. Each of these gives Dr. Zhang a clear picture of your overall health and any conditions you need to be treated for. He may have you complete a health-risk assessment, along with discussing your family and medical history. What can I expect during a wellness exam? He listens to your heart and lungs and checks your throat and tonsils. He may also look into your ears and eyes, examine your lymph nodes, and check your thyroid. A wellness exam typically includes an abdominal exam, a check of your extremities, reflexes, and possibly a closer look at your skin to take note of any dermatological concerns. Annual exams for men may also include testicular, hernia, prostate, and genital exams. Many vaccinations are given during childhood, so if you can’t remember what you had, or you don’t have all of your health records, Dr. Zhang advises you regarding vaccines he recommends. Making sure your vaccinations are current is a good idea, especially if you’re traveling outside of the United States. If you have questions about wellness physicals and vaccinations, Dr. Zhang invites you to call the office or schedule a consultation online. Edison Wellness Medical Group is a patient-centered medical practice, where you can feel free to discuss all of your health concerns.